Compact design, ideal for use in tight spaces. H4 duty cycle with 300 motor starts per hour. Built for rugged industrial use. 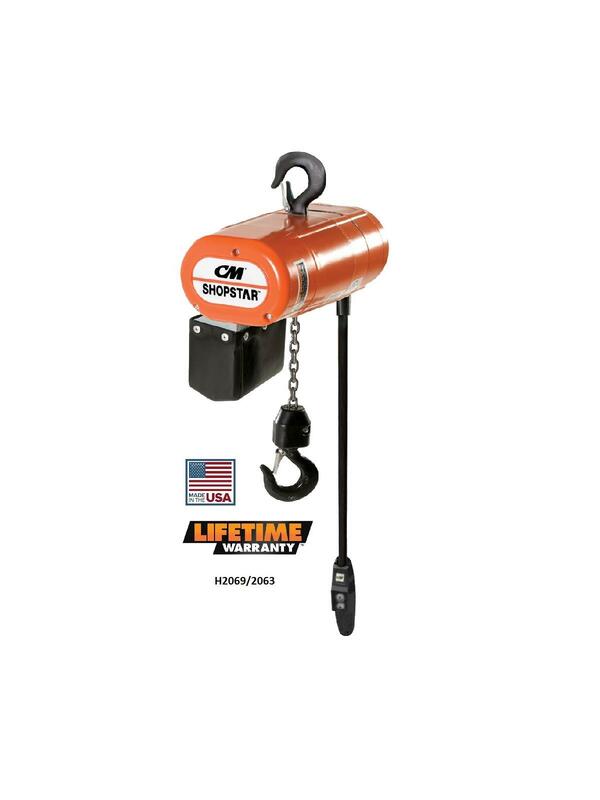 This durable hoist features high H4 duty cycles and a compact design ideal for use at workstations and production lines. Standard overload device helps prevent damaging overloads. FOB Shipping Point. 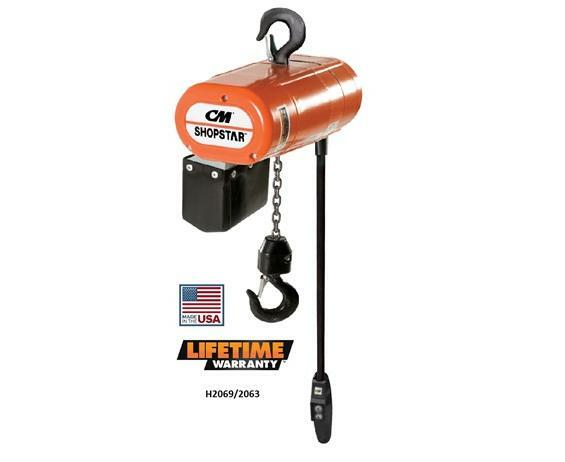 See Related Items tab for CM Shopair Air Chain Hoist.